by Dog and Rooster, Inc.
San Diego, CA – Digital Proteomics launched its new brand and website. The company, which offers innovative products utilizing mass spectrometry in proteomics and metabolomics research, launched a new brand identity. Their top products include Valens, Enosi, MSAlign+ and MSGF+. As leaders in a tight industry, they wanted more brand recognition among a narrow audience of research scientist. Dog and Rooster, Inc. worked with the Digital Proteomics team to create the new brand, focusing on the company history of leadership and innovation. The Dog and Rooster team created a new logo design, new website, and publications archive. 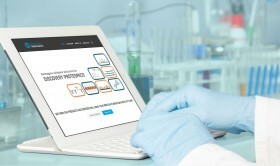 To learn more about Digital Proteomics, and see the new brand, visit http://www.digitalproteomics.com/ or view the project scope here. About Dog and Rooster, Inc.
San Diego based Digital Proteomics LLC delivers cutting-edge computational solutions to the mass spectrometry community. Founded in 2009, Digital Proteomics is led by renowned scientists with over 50 years of combined experience in algorithm design and bioinformatics. Instilled with their core values of scholarship and discovery, we are committed to developing efficient, effective tools for addressing core bioinformatics problems. Our founders’ expertise in algorithm design is evident in all of our products, many of which spring from our close collaborations with both academia and industry.